Our next quarterly meeting of the TCC Charter Chapter (Los Angeles/Orange County) will be held on Saturday, Sept. 8, at the Mozambique Restaurant in Laguna Beach, where popular presenter Tom Getz will share his adventures and stories while cruising the iconic Northwest Passage from Kugluktik, Nunavut, Canada, to Kangerlussuag, Greenland. The small ship made many Inuit village stops in both countries, with fascinating encounters along the way. Join us for an exciting Arctic tour at this always-popular African-themed restaurant on the coast in sunny Southern California. Yes … we cover the globe! Cost: Members and guests, $60 per person. Non-members (not guests), $75. Includes wine, soft drinks, tax & tip. Payment: No later than noon on Wednesday, Sept. 5. For late RSVP, call (818) 502-1988 or email to mgsholer@att.net Send to TCC c/o Michael Sholer, 1431 Columbia Drive, Glendale CA 91205-3505. Make checks payable to Travelers’ Century Club. 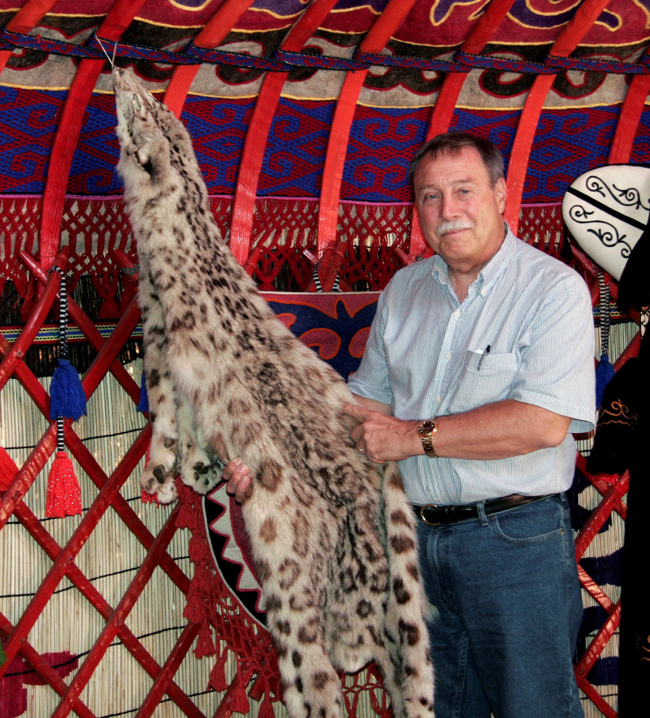 Tom Getz will leave this yurt in Kyrgyzstan to explore the Northwest Passage at our September meeting.